Playing music on hold to your callers is a great way to keep them entertained while they wait, and also a great way to represent your brand. 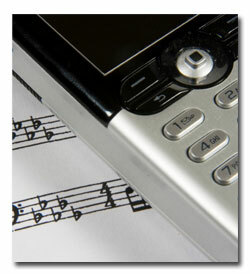 Being selective in the music beds that you choose can really enhance the on hold experience for your callers. Music on hold can also compliment and emphasis your professionally recorded audio advertisements for your message on hold program. And it will help you control what your customers a listening to. Many companies unwittingly play the radio to their callers on hold, and effectively play inappropriate music to their callers – without even knowing it. Phone Sound has an extensive library of royalty free music in all different genres that are ideal for playing to your callers on hold. Impress your customers every step of the way, and invest in Phone Sound’s inexpensive message and music on hold packages. Call us today.